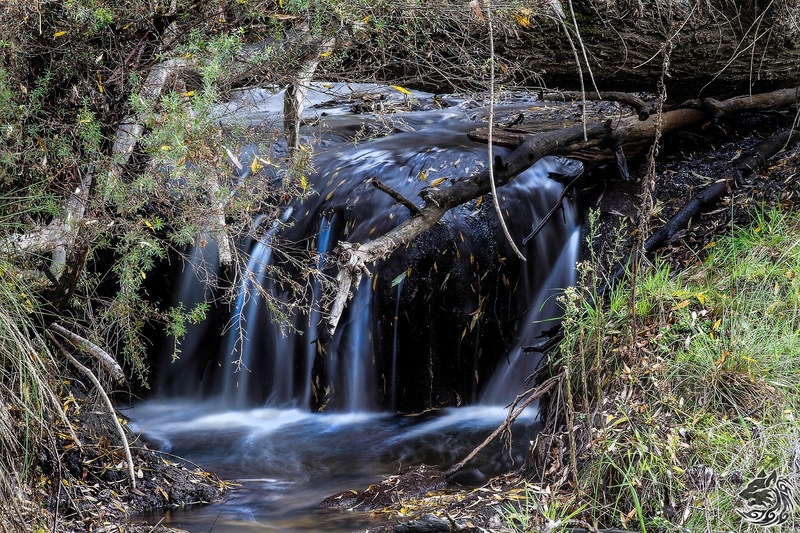 This is a cascade waterfall on the Gibraltar Creek. 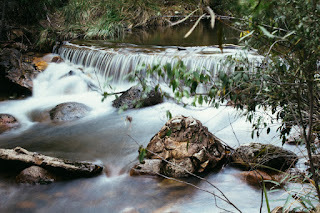 Cascades extend above and below the falls past the creek's intersection with Paddy's River. The main cascade has a 50m drop. It is in the Namadgi National Park. There are upper and lower cascades associated with the main cascade, and a small weir near the top of the falls. The fall is near Canberra close to the Corin Road. This is the largest accessible waterfall in the territory. It consists of a series of cascade with one large drop. It has a permanent flow and hosts plants and animal communities not found elsewhere. Bogong moths over-summer here before descending like a blanket for a couple of days each year over the nearby city of Canberra and the Western mountain ranges. 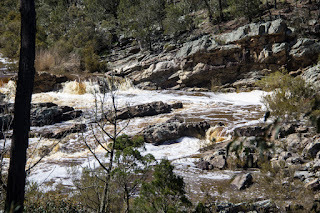 This is an inaccessible set of cascades on the Kangaroo Creek near the Corin Dam. Heavy undergrowth makes direct access from roads impossible, leaving only the prospect of walking up the creek (not recommended). In between the folds of the hills runs the Murrumbidgee River. Here a single lone dead gum - burnt in the fire storm a decade ago, that devastated this area, its farms, vegetation and wildlife. I found it very hard to come back here after the firestorm - but it is slowly getting easier. 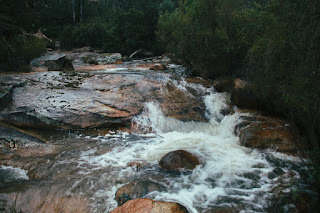 I love this river - it is always unpredictable. I used to travel each day to work across this crossing - stopping on a summer afternoon to swim in the River. 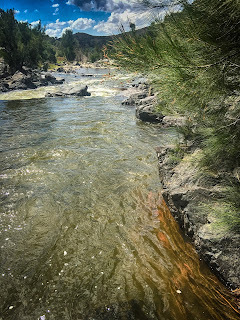 Kayaking through the Murrumbidgee Gorge from the river beach at Casuarina Sands to its junction with the Molonglo at Uriarra is a terrific 8 hour ride. It is only 7km but there are a number of ports and lots of runs. Enough time to get 2nd degree burns. Each trip i have made has been magical. The river is different ever time – sometimes we have to port boats between rapids – sometimes the river crashes high around us the whole way. My last trip was a bit of a disaster. Some of the kayaks didn’t make it home... and all the support craft sank and the electrical equipment (phones, cameras) might have got a little wet, and the picnic disappeared. But we still made it back, although it was a couple of hours later than expected. Ok, a lot later, in the dark, but just before the support crew rang for help. These days no one will come kayaking with me on account of stories of past disasters. 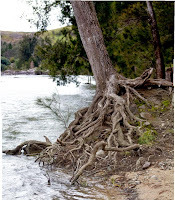 I think that the biggest danger in the river are the tree roots and flash flooding. I am always very careful in white water, and recently switched from a traditional kayak to an open deck (sea) kayak to help reduce risk on this section. 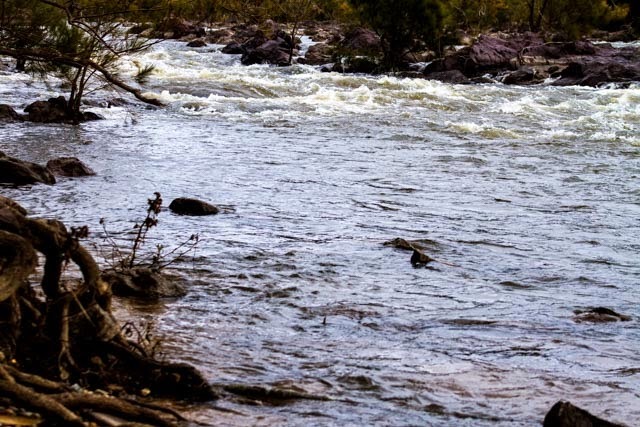 Once, I came down to this very set of rapids, with a friend of mine after a long days paddle. We were both completely exhausted and starting to dream of a good meal and a drink of something other than river water. To our amazement, at this very place, there were 15 or more mermaids. I cannot remember the precise number because i was thrown out of my kayak and ended up swimming, under water, until we passed them. My friend and I only briefly discussed this matter. He told me that they were quite real, and that they politely answered his cheery hellos, and that he did not understand it either. When I come back to this place, i always check for mermaids. But, so far without any luck. 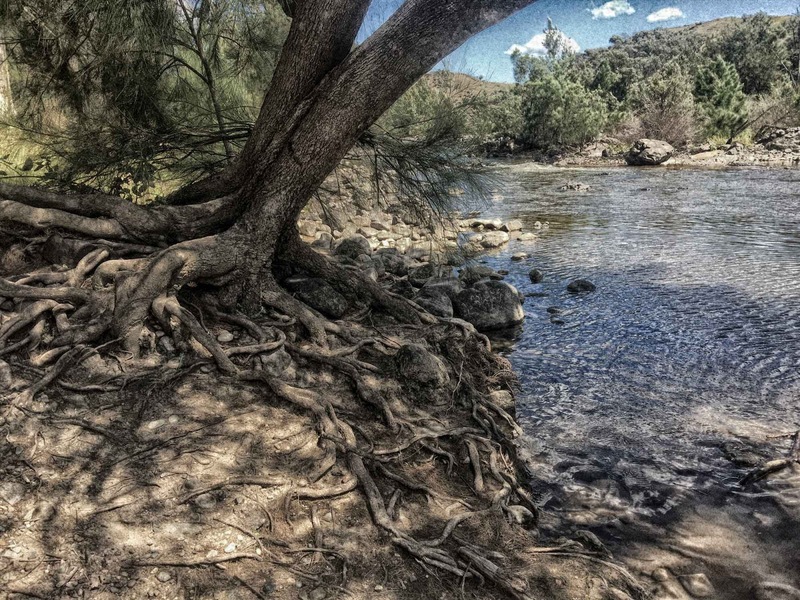 The red roots of the native casurarina forests line the banks of a wilderness area of this large cascade-filled Australian river. Cascades occur regularly at pinch points along the river's path: making it a fun place to kayak, swim or simply rest by the rushing water. 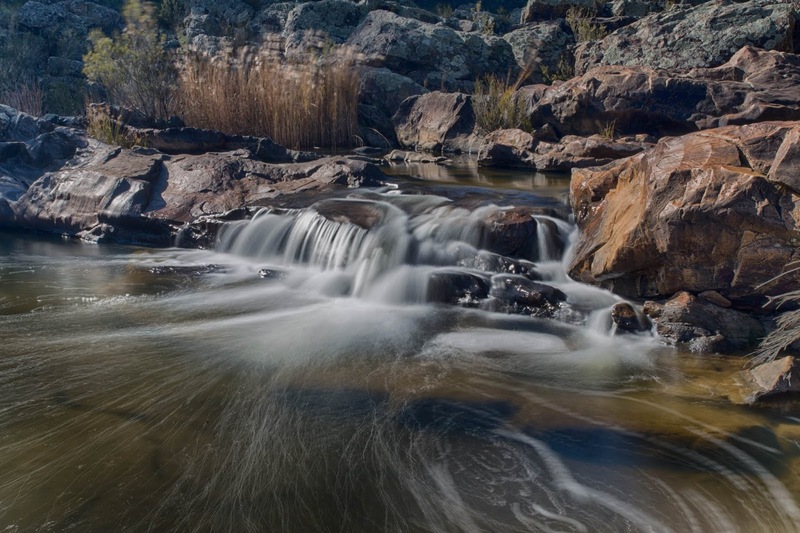 Downstream are the deep gorges and striking red granite of Woodstock Reserve, with riparian paths into the steep falls of the side streams, with falls. I think value this place just a little more, because it is wears its first people name. Colonials heard of the river a couple of years before they found it, and by the time of the first sighting it had achieved some notoriety (as in December 1820 a party sent to find the river broke up in acrimony, with one of the members saying publicly that the river was imaginary). 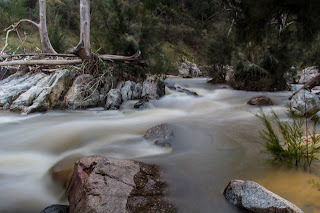 A mountain creek drops 500m over 1km through a series of waterfalls from near the old volcano Palerang. 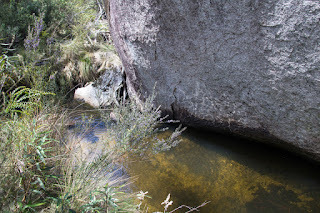 In some places, the creek drops underground and flows through hidden chambers lined with large limestone stones, shaped like spheres. At night, when i am falling to sleep, i can hear these falls off in the distance. Boobok Owls hunt along the creek, and rest above it, calling the success and failure of each patrol. I guess each place we nest has its own sounds :) The great cities that never sleep humming with power and the occasional cry of police cars gaming a hunt, the small inland cities that sleep in fields of cattle and sheep, vibrating with each new train, and the little coastal settlements curled in the wash of waves and curlews. It is hard to leave a place we know behind, the familiar patterns of sounds that have rocked us to sleep for so long and patrolled our dreams. The Yandyguinula became a series of deep interconnected pools during the 7 year drought that started around 2000. Strangely, the interconnected pools themselves did not drop. That confused me, so i went looking for the reason. 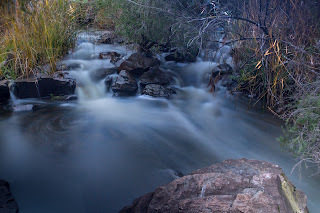 At the base of a silent waterfall, I found a small tight passage and was able to travel a little way underground roughly following the surface path of the creek. At first i though it must have been a burrow, but i have explored wombat burrows before and this was quite different. A trickle of water still flowed along a floor of regular limestone spheres with a haphazard roof of volcanic rocks. 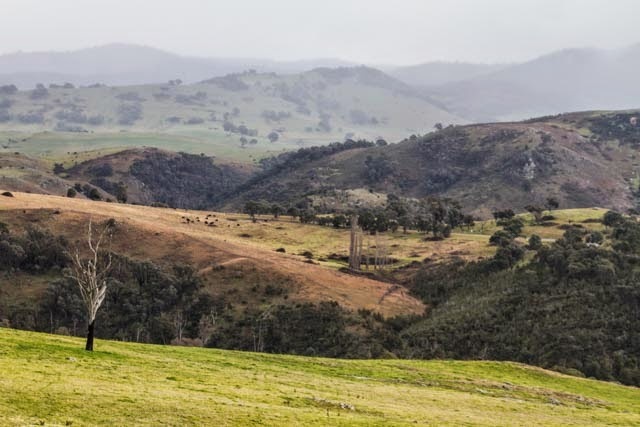 Rossi has a notable link with the nearby city of Goulburn in South Eastern Australia which, for a moment in time, looked like it would become a great regional city – and perhaps even the capital of Australia. Against that possibility, grand buildings were planned and some built. But times have been hard for this city, its ambitions have been dashed, and a couple of years ago it suffered the indignity of running out of water. 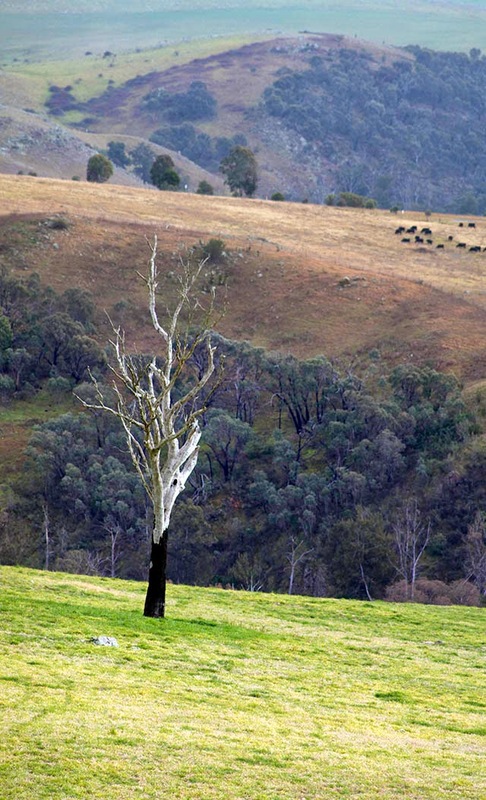 The State Government of the day had other priorities – and Goulburn was left to hang out in the wind. In kinder times, the City was home to two fascinating men – both holding the title of Comte de Rossi. The early career of Francis Nicholas Rossi (1776-1851) is almost unbelievable. At the age of 19, after he lent support to the British occupation of Corsica, he lost all his possessions when France retook the island. 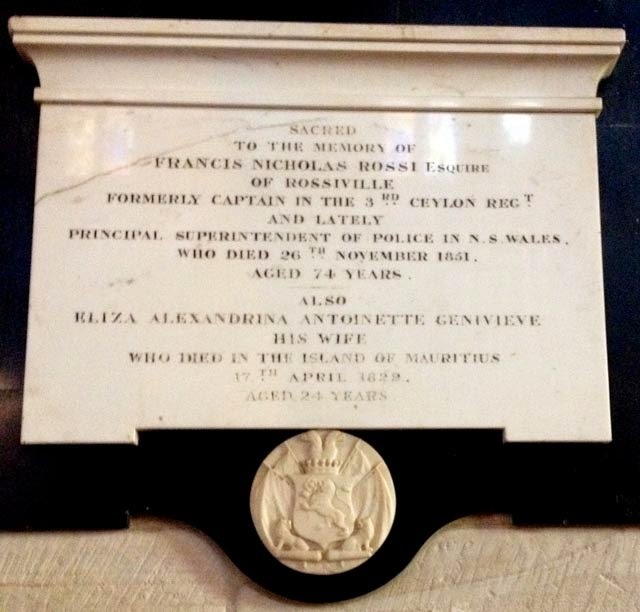 He joined the British army, serving with credit in Holland and Gibraltar, and then transferring to Ceylon and Mauritius as Captain, in charge of Indian convicts. In 1819, it is rumored that he played a pivotal part in obtaining evidence for the royal divorce – a scandal that shook England at the time. In 1824, he transferred to the Colony of New South Wales to take up the position of Superintendent of Police (and magistrate) and worked for 10 years on the reorganization of the force along the lines of the British Bow Street model. In later years, he retired to his property at Goulburn. After leaving Corsica, he overcame a number of disadvantages - his foreign status, accent and poor knowledge of English law – to become an important pioneer in the colony. Today, that work is recognised by a number of locations that bear his name and a plaque that almost brought down the Saint Saviour's Cathedral. His son, Francis Robert Louis Rossi (1823 – 1903), took a legal career early in life – becoming the first Superintendent of Police in the Monaro, and building an iron bark slab homestead called Micilago (the area to the south of Canberra is now known as Michelago). 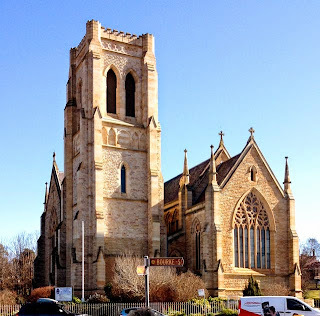 In 1851 he took charge of his father’s Goulburn property and became, first, a local magistrate and then, in 1870, the Registrar of the District Court at Goulburn. Over time, he became trustee for most of the local Church of England property. Disputes arose with the establishment of the Goulburn Cathedral. During a bitter ten year legal dispute (1884-94), Rossi was slowly drawn into the problems and eventually took a leading role in the conflict. It was finally settled against him in the Supreme Court. During the dispute, in 1887 he took a plaque in memory of his father into the new Cathedral and kept armed guard over it. 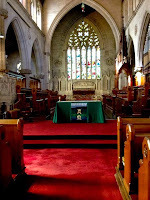 When it was removed in 1891, he reoccupied the cathedral with a band of men and remained in occupation for some time. 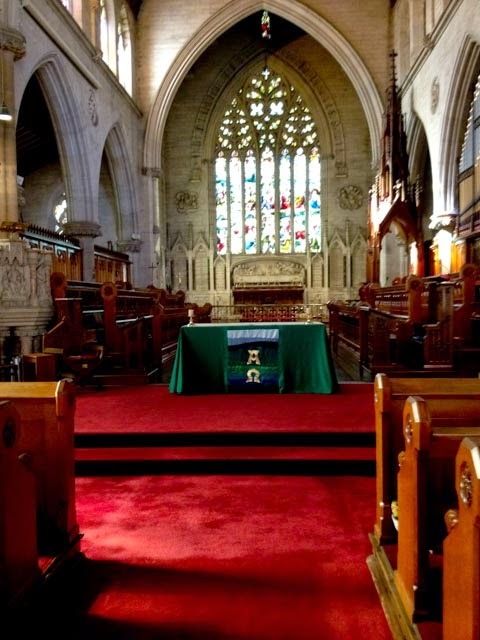 St Saviour’s Cathedral itself is one of the finest white sandstone cathedrals in the southern hemisphere – and the only 12-bell country peal there. Today Rossi’s plaque can be found embedded in the Cathedral wall. The church itself is an impressive building, but one of the volunteer guides tells me that it has again fallen on hard times, attracting few parishioners save on special occasions. Politely she turned the conversation around to the possibility of me coming along to boost the numbers a little, perhaps to sing. While I have a fine voice, I don’t think she would approve my choice of song. An old friend, Justice Rae Else-Mitchell, took me to lunch when he heard I had moved to the Molonglo High Plains a while back. He and I had worked closely in the early days of the establishment of the Australian Capital Territory – his office was a couple of doors down from mine, and we spent many hours arguing and working through the problems that beset the new polity. He was passionate about history, and in view of my recent move into a district with a small forestry village called 'Rossi', at our lunch he spent the afternoon telling me the above stories of the two Comtes. He died in 2006 at 91. 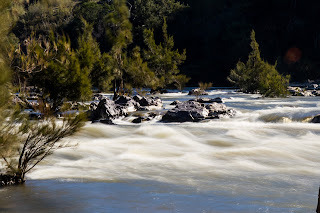 The Molonglo River flows slowly over an ancient sandstone plain until it hits the Molonglo Gorge. This gorge hosts 50 small waterfalls and cascades, through a Bull Oak Forest (Red Stringybark, Black Cypress Pines, and Bull Oak Casuarina). In dry times, crystal clear water gently flows through the lengthy gorge. 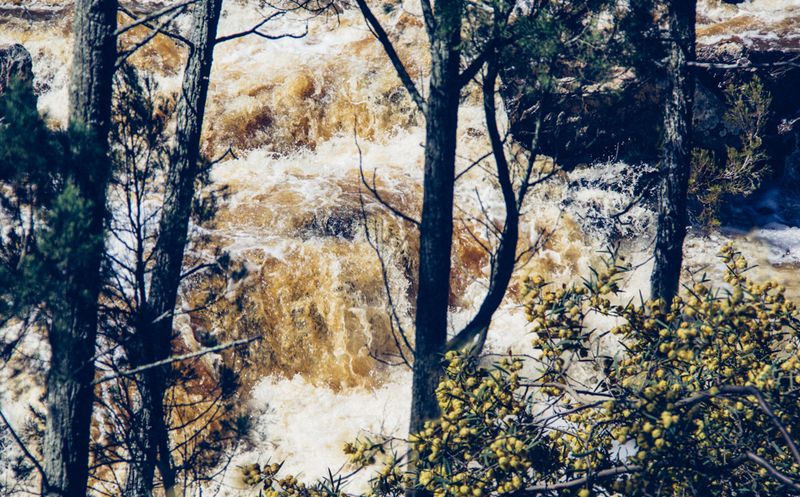 In flood, it becomes a long cascade of silt laden chaos. 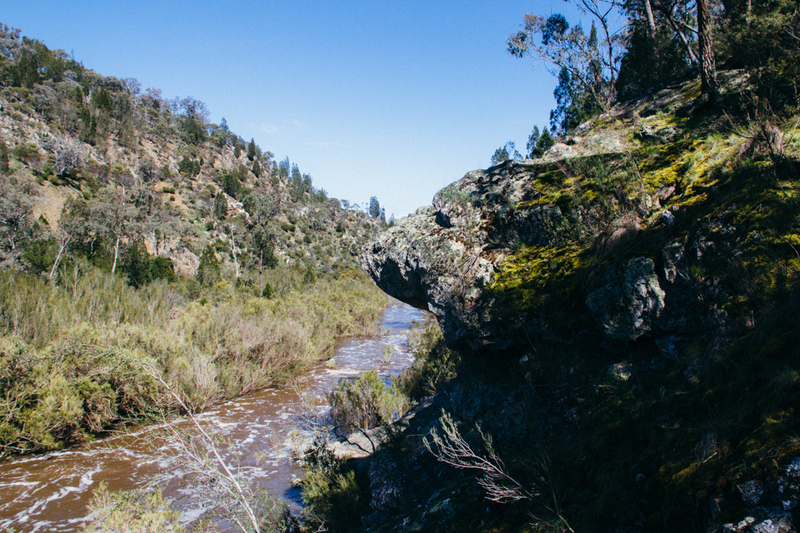 Molonglo Gorge is an ancient pathway through the mountains. After rain, the waterfalls and cascades flow strongly. A path follows the banks of the Molonglo River through the gorge, but the path rises and falls to avoid great river boulders and cliffs. 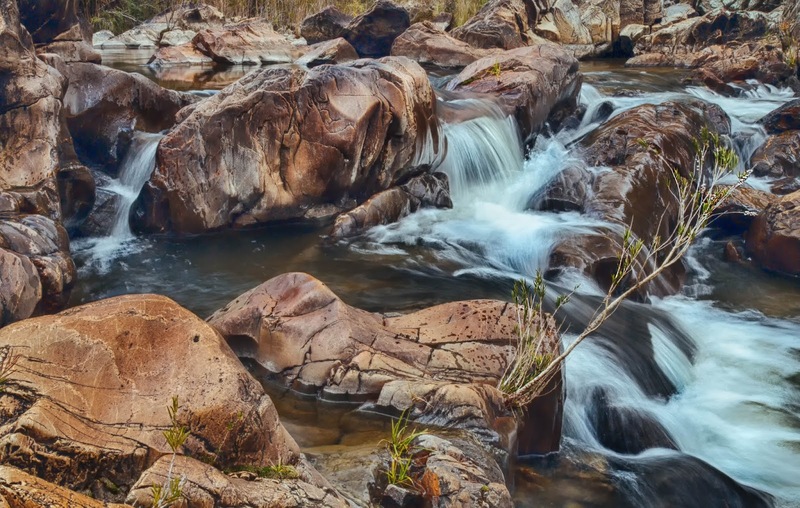 While the cascades are very close to Australia’s capital city, Canberra, the gorge is seldom visited. 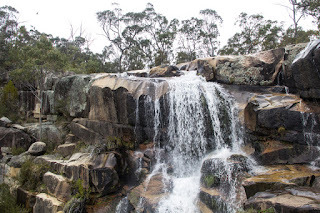 This is perhaps because the waterfalls and cascades are largely inaccessible and can only be viewed from a distance. The noise of the waterfalls can be very loud and the air full of water spray. 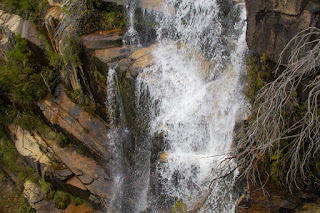 Most waterfalls I explore are too dangerous to swim near. This place is full of ‘human-sized’ waterfalls: when the river slows, the waterholes are gentle places of healing. 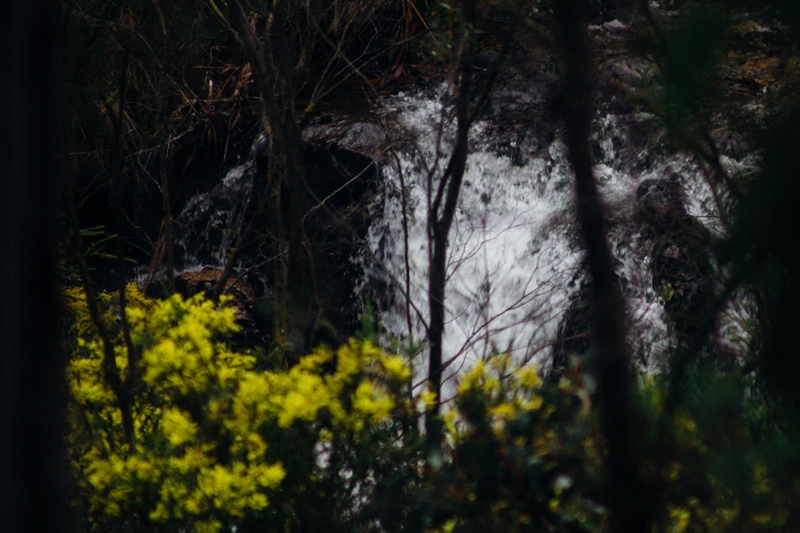 There is something in the sound of a waterfall: it takes you away from the world. After very heavy local rain, the muddy river will submerge the river path. Fortunately it is possible to climb to the top of the gorge and rejoin the track about 1km along via a steep shale path. 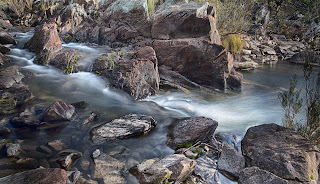 At this point, the river does two 100+ degree turns, creating the curved walls of the amphitheater, which in calmer times has a couple of nice swimming holes (it would be silly to try swimming with any force of water). The hiker into the Gorge starts downstream, at the end of the waterfalls. At first, the lower path follows the river. 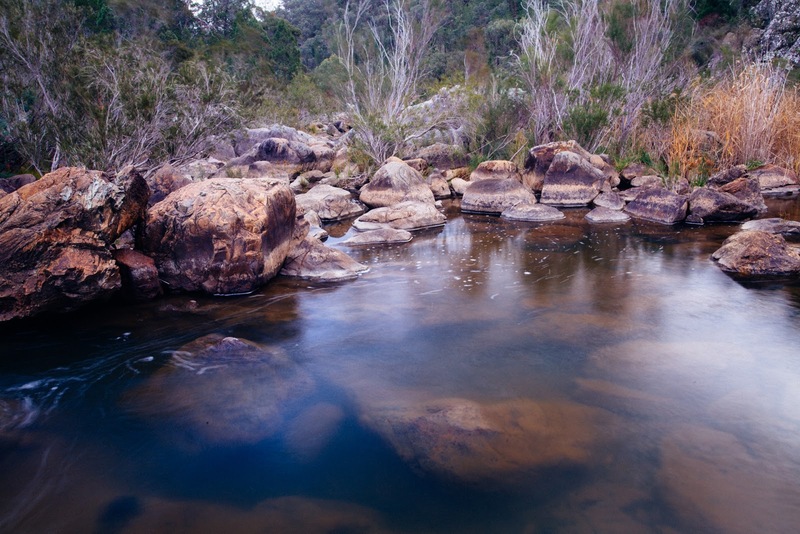 A short walk will take you to the first pinch point and on to a natural wonder of the Gorge, Turtle Rok - an overhanging rock in the shape of a short-necked turtle (although you are more likely to find the small Eastern Long-Necked Turtle in the Gorge). In summer the pools offer a cool respite from the heat, but water levels here can rise suddenly from local storms in the mountains to the east. After the first set of pools, the Lower Track leaves river level and gradually climbs to the top of the gorge to avoid the steep drops encountered deeper in the gorge. I once met a couple of photographers on the track who asked how to get to the waterfalls in the Gorge. I swim out to a rocky ledge (making sure my camera gear is in water and shock-proof bags, and then rock hop over to a closer vantage point. The rocks exposed to water have the softest curves, and are very slippery even when dry. 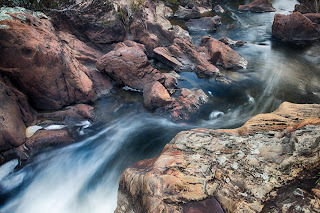 In winter, this is dangerous, as some of the river is in permanent shadow, and the rocks are covered in black ice. Each fall is different and some are practically inaccessible - it is best to bring a zoom lens. Midway into the gorge is a chute waterfall, where a pinch in the Gorge has created a long narrow sluice. 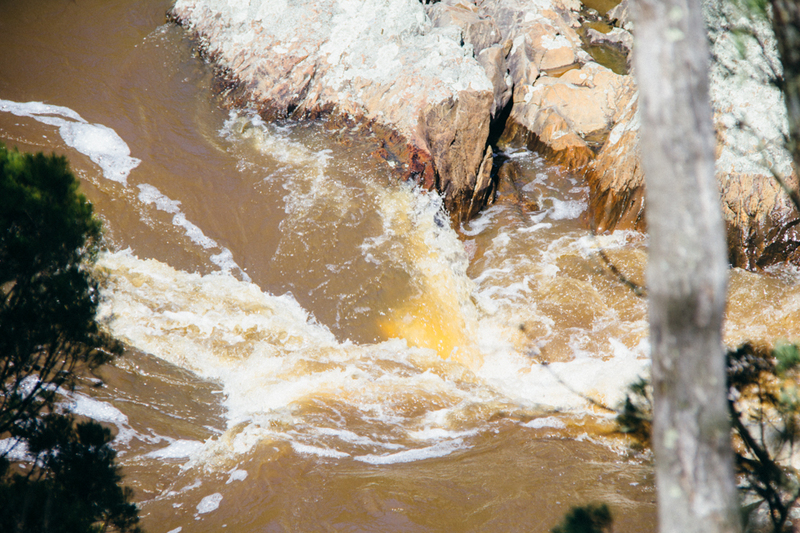 At the end of the chute, a waterfall fans out into a waterhole for summer swimming. 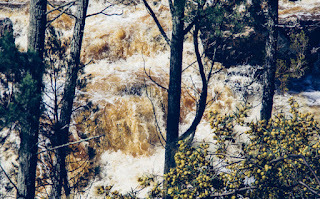 After heavy rain, water enters the scene with great force. 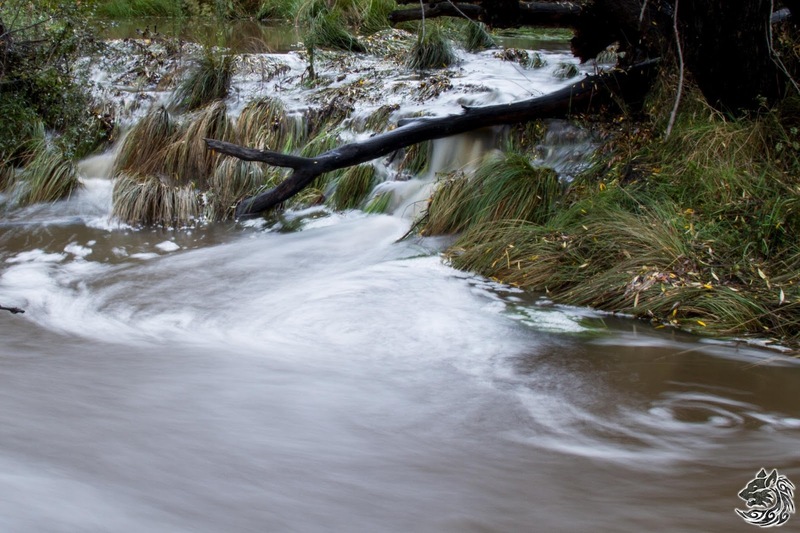 The height of the water at the start of the sluice can be gauged from the overflow waterfall a little further along. A natural amphitheater curves around the river at this point. In summer, the pools under the permanent waterfalls are great places to swim and relax. 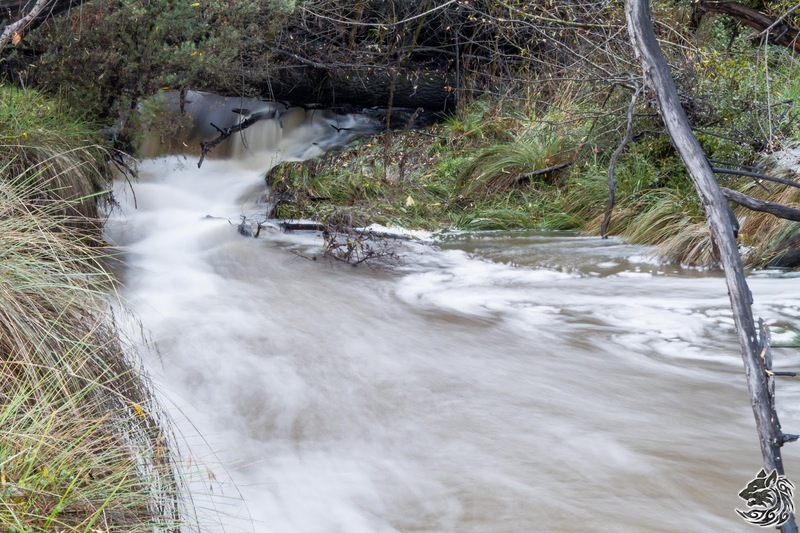 In flood, the river is dangerous and unpredictable with river speed and turbulence highest in the first couple hundred paces of the base of each river fall (which occur approximate 500 paces apart). Crystal clear water plunges through this lengthy run. In the upper reaches of the Cullarin Block, a splatter of water in the form of an upside-down branched candlestick (girandole) or, perhaps, a bombe glacée. Many of the upper waterfalls are inaccessible without ropes and lots of time. 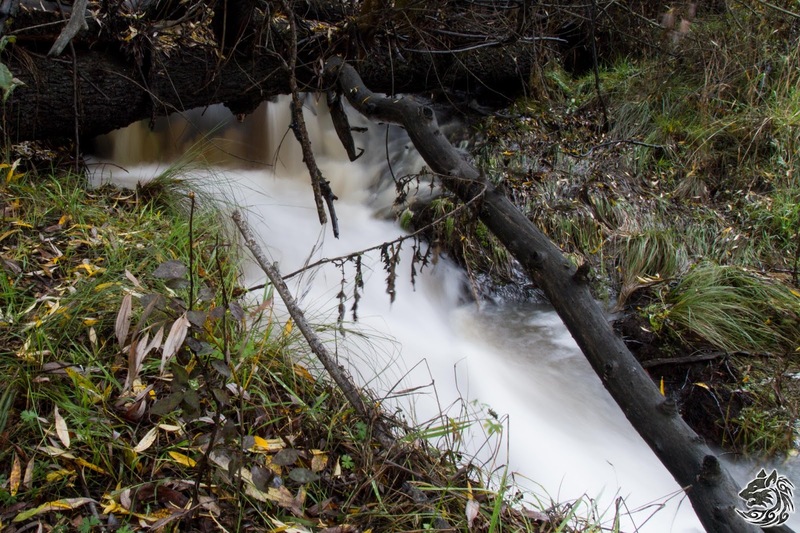 A group of hardy settlers came to live near this place on the Molonglo River more than a century ago, but hard conditions eventually forced them from the area. Today, only their abandoned farms remain, and the pools they once swam in. A little further down the gorge, the waterfalls become higher. 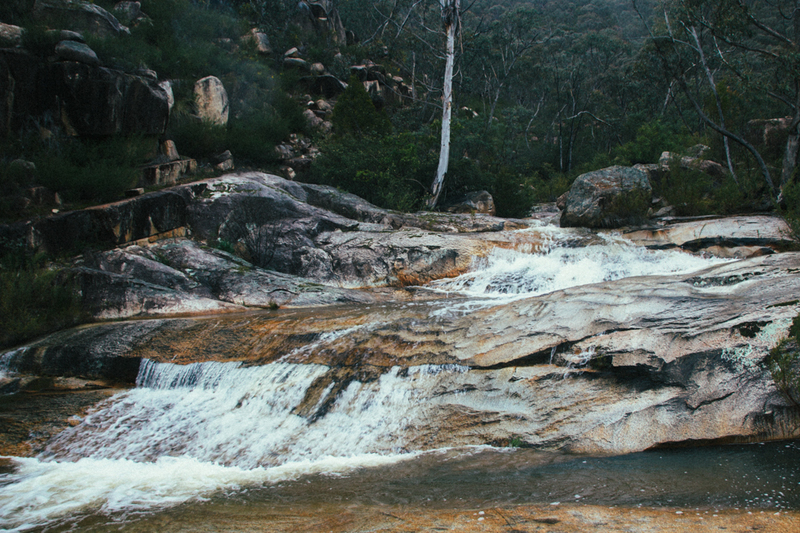 Here, near the top pools of the abandoned settlement, the cascades are ‘human-sized’. 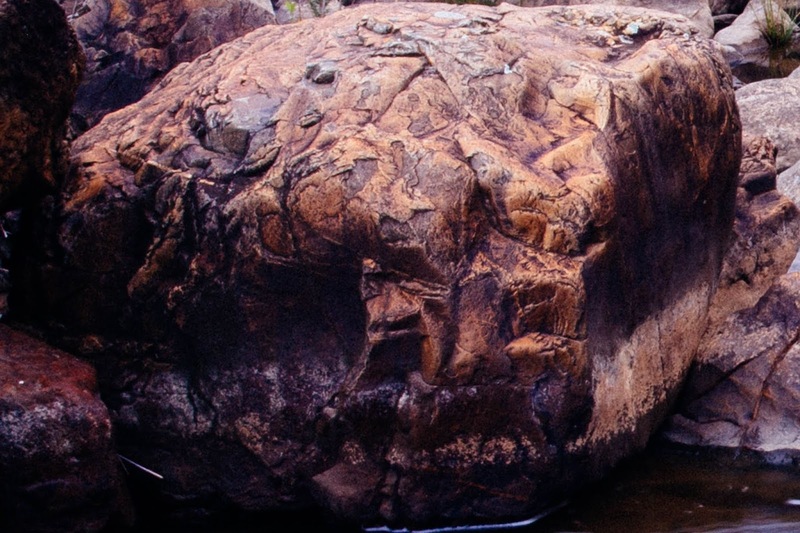 Flood, sun and rockfall (from natural and railway construction cause) have created curious patterns within the exfoliated rocks. Some are shaped into strange and amazing shapes and some show sign of additional chipping to produce specific forms. It is not known whether the chipping was caused by natural collision, railway construction or human design. Notes: The names used in this post come from original letters and diaries of European settlers and explorers and, like many features near the National Capital, have no formal recognition. The First People names for the waterholes in the Gorge (names were seldom given to falls) are unknown. 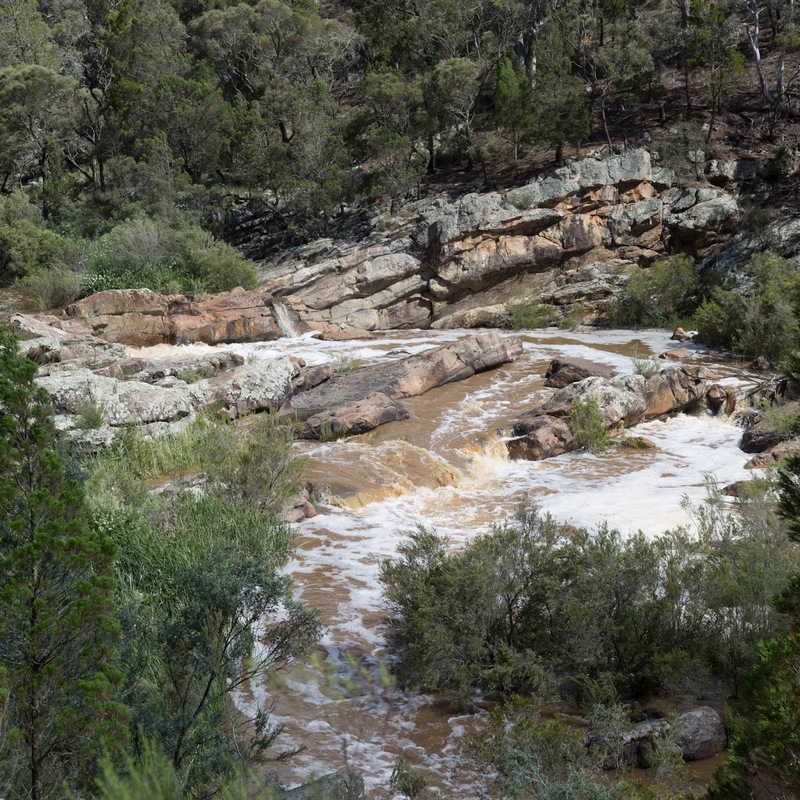 If you are starting your hike into Molonglo Gorge, take the low track if the water level is low and the high path if the river is in flood (the path at Turtle Rock will be under-water and impassible). If you propose to enter the water to swim, avoid flooded reaches and rapids. 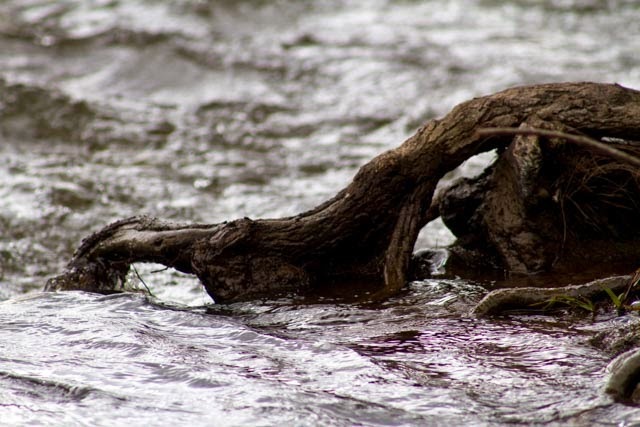 Watch for wood debris in rapids (there is a lot of cured willow upstream) and snakes. By convention, sea breezes that travel inland late afternoon are styled doctors: bringing a blast of humid, colder air with a hint of the sea. The Molonglo Doctor is a regular summer occurrence in the high plains, dropping temperatures 5-10 degrees and cloaking the mountains in mist. We know a surprising amount about the history of our local region because of core samples from the nearby Lake George Basin. The region emerged from shallow seas more than 150 million years ago. The surrounding mountains resulted from volcanic action from that time and as part of the general uplift of the eastern highlands about 80 million years ago. However, it has changed slowly over the past 50 million years. Against the backdrop of familiar landmarks, climate, vegetation and animal types have gone through a number of distinct stages. When the land bridge between Antarctica and Australia finally sank about 50 million years ago, the Yandyguinula valley was a much wetter and warmer place. 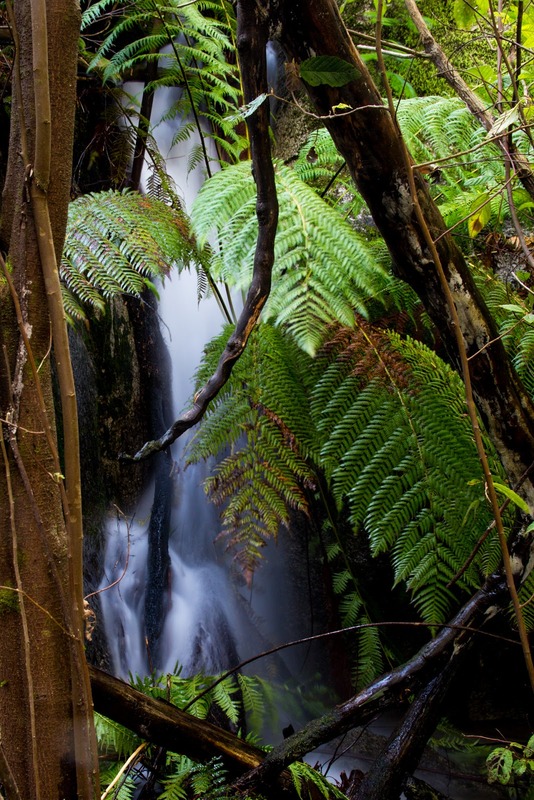 Like much of the rest of the country (and Antarctica), it was covered in lush rainforests. 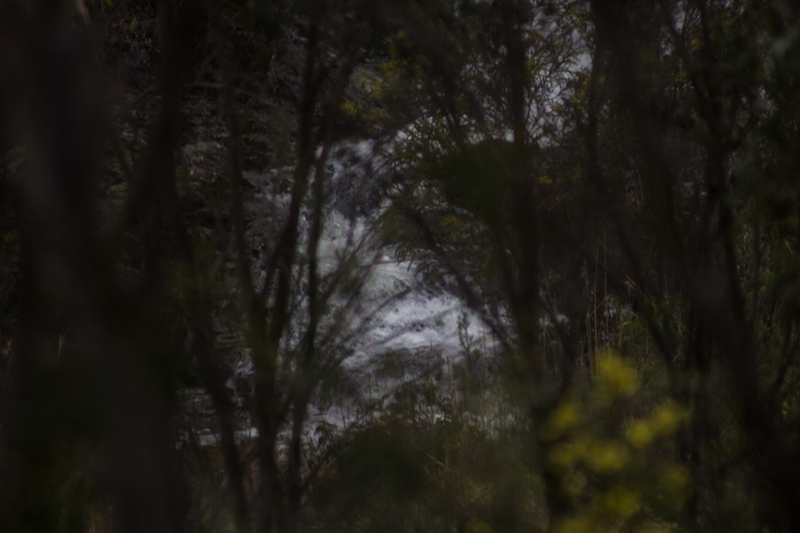 The Yandyguinula, probably shrouded in perpetual mist and flowing heavily, periodically flooded some of the lower valleys as it cut its way through the dense conifer rainforest. The forest canopy towered up to 50 metres above the ground. It consisted of the Southern Conifers (today, descendants of the northern family include the Kauri, Bunya, Hoop and Norfolk Pines while the southern family, known as Podocarps, include the Huon and Celery-top Pines) and the Southern Beeches ( the Antarctic Beech, Nothofagus moorei, is still found in Queensland rainforests). These trees are very ancient with the Kauri Pine still closely resembling fossil records from 175 million years ago. The Beeches spread to this country across Antarctica from South America about 90 million years ago. 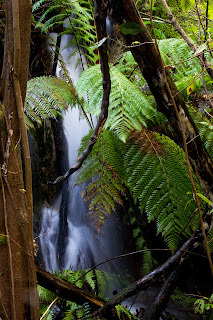 In the understorey were ferns, cushion plants, rhododendrons, orchids, hollies, ancestors of the willows and the gums. Leopard -like Wakeleo stalked the forests with Tasmanian tigers and carnivorous kangaroos. 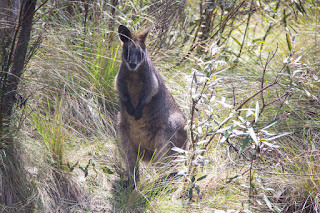 Large toothed platypus, possums, numbats and bilbies lived in the forest. From this and earlier periods, remnant species still survive in our region. About 30 million years ago, Antarctica drifted lower to the south pole and world temperatures began to drop. The sea level fell, temperatures began to drop and Australia began to dry. The great Pine forests began to retreat to the Eastern seaboard. 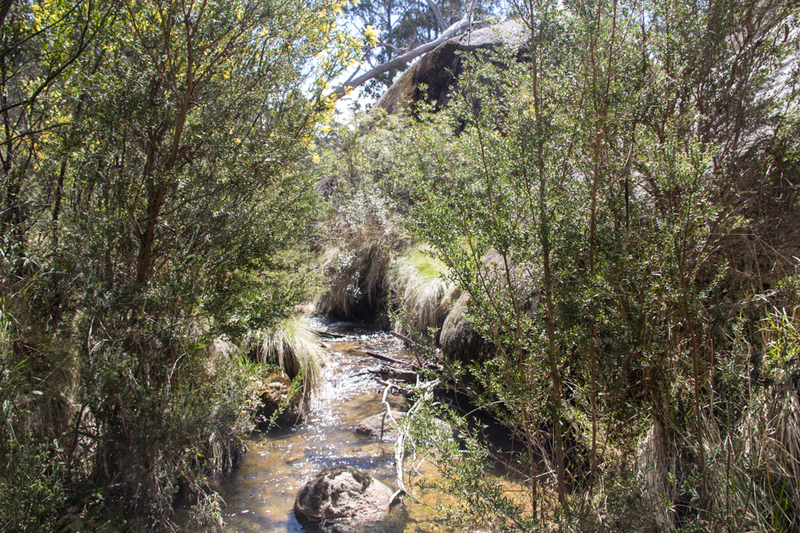 Casuarinas (probably developing from early willows) slowly replaced the Southern Conifers in the new dry woodlands, while gum trees thrived in the drier climate. As more extensive grasslands developed and the forests became more open, large marsupial browsers and flightless birds appeared. It was a time of giant marsupial browsers including the bear sized Nehelos and the Diprotodon. 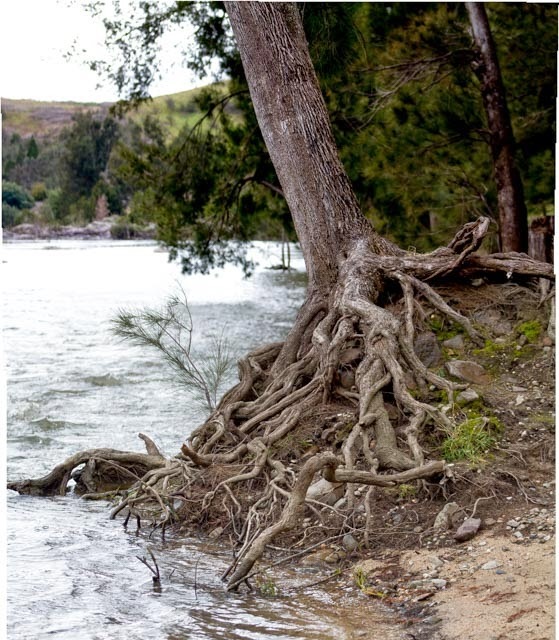 The north-south Lake George Fault began to slowly rise during this period. Over 20 million years, it rose about 100 metres, impeding the westward flow of both the Yass, Molonglo and Yandyguinula Rivers. 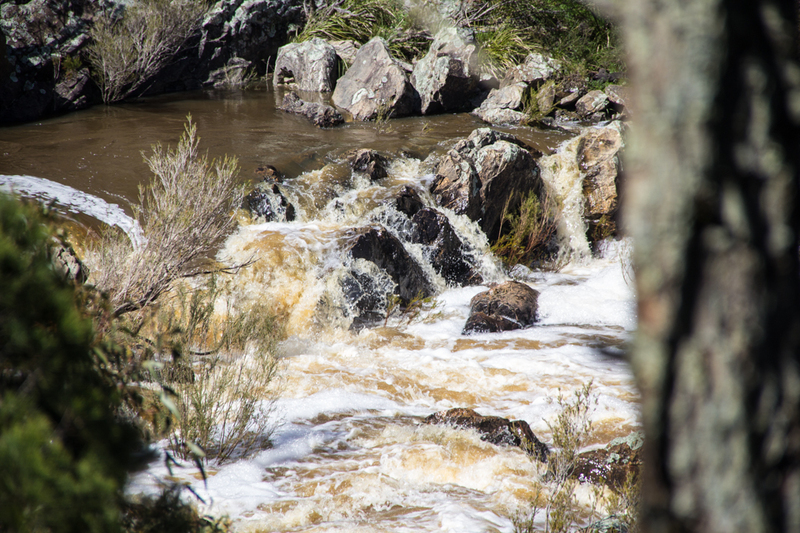 The Yass River, with a small catchment, was not able to cut through the new range and pooled into Lake George. 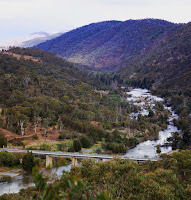 The Molonglo, helped in part by the Yandyguinula, cut through the range near Balcombe Hill. 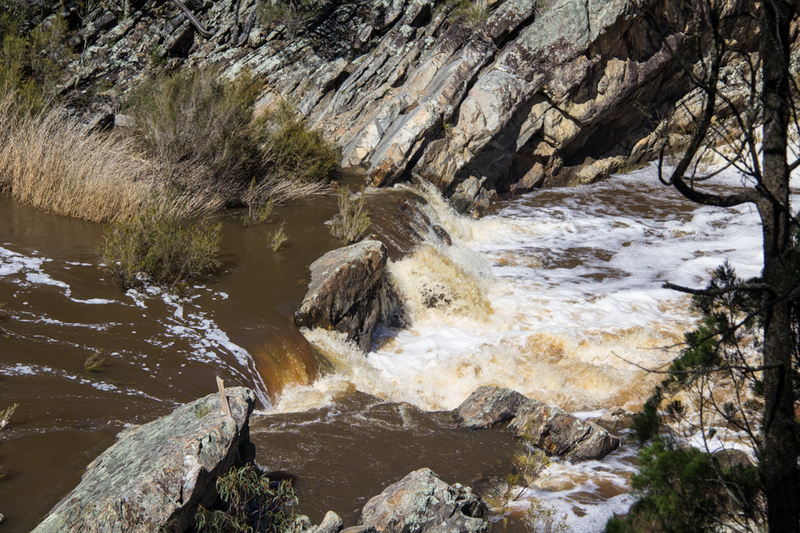 During the periodic ice ages at times of very low rainfall, even the Molonglo failed to keep up with the gradual rise along the fault. 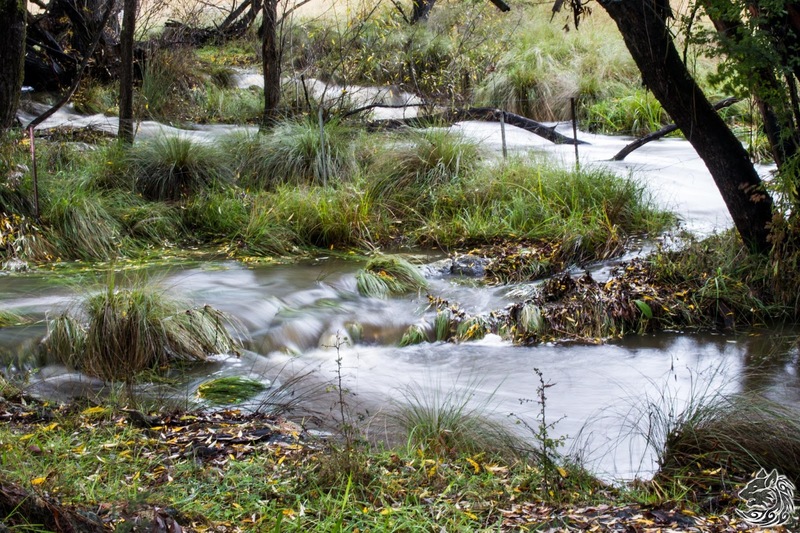 At these times of drought, the Molonglo formed a lake on the Hoskingtown Plain. About 5 million years ago, the Lake George Fault ceased to rise. This coincided with another dramatic ice age. The Molonglo drained through the fault and the plain started to dry out. By this stage, the forests in the region consisted of a mix of casuarina canopy with a fern and podocarp understorey (on the higher peaks in the ACT the mountain plum pine (Podocarpus lawrencei) still clings to rocks). The forests survived in the mountains and hills, extending onto the plains during periods between ice ages (there have been 20 ice ages in the past 2 million years). During colder, drier periods, the plains became open forests and grasslands. To the north of Lake George, in sandstone, is the footprint of one of the giant marsupial browsers. Next to it is the footprint of a man. When aborigines settled the continent, they brought with them knowledge of fire stick agriculture, which they used as an integral part of hunting and everyday life. The introduction of systematic burning co-incided with the extinction of many of the forest casuarinas and podocarps (although it is not certain whether these are related or are both aspects of a different event as yet undiscovered). The forests were replaced by grasslands and eucalypts and the Casuarinas and podocarps “retreated” into the wetter mountains. The intensity of aboriginal occupation probably varied with climatic factors. During ice ages, traces of carbon in the fossil record become rare in the face of the permanent snow which settled on the Great Divide and the Black Ranges. During warmer interglacial periods, fire stick agriculture returned to the plains and foothills, but only rarely was felt in the wetter ranges. 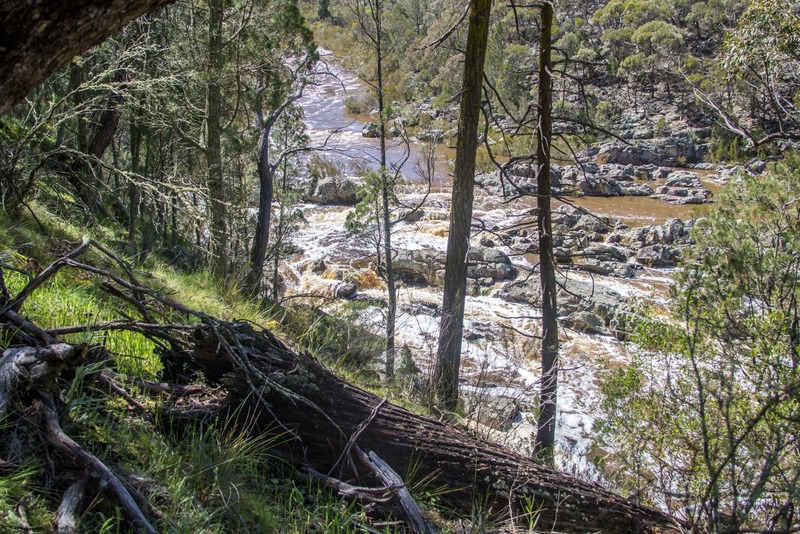 As the next fire tolerant range of species became widespread in the lower and mid ranges, remnants of the Casuarina forests held fast to the river banks or joined earlier remnant species in the high wetter valleys and ridges of the ranges. About 30,000 years ago the last of the giant marsupial browsers became extinct and the last of the Tasmanian tigers retreated permanently from this area. 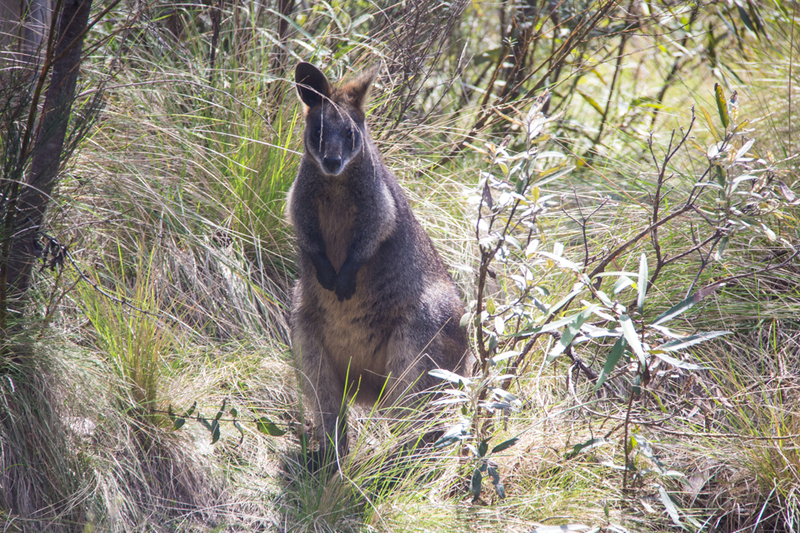 The region was left to the grey kangaroo, the red-necked wallaby, the koala and a range of smaller marsupials including the native cat and the possum. Bush turkeys led mostly solitary lives while quail and emu lived in large family groups. 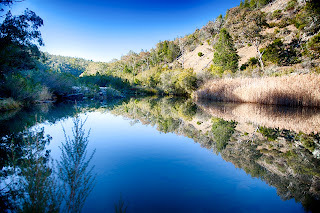 The Yandyguinula and Molonglo were a series of marshy ponds. 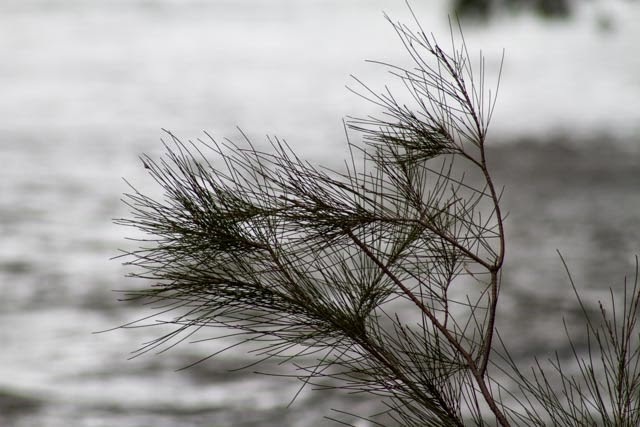 Protected by stands of casuarina and tea tree the ponds were a haven for ducks and swans. During warmer periods, brolga from the interior may have lived on the river (but there is doubt about whether this continued into modern times). 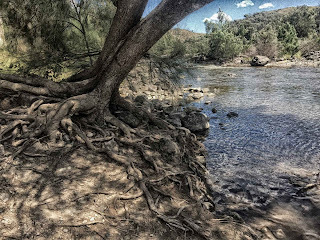 Along the river stretched the permanent grassed walking tracks of the aborigines. Early settlers found these trails kept free of obstruction and well burnt. Of necessity, the trails were used by the first shepherds, adopted by the settlers and mapped by the surveyors. Today, our roads follow those same trails. The first three white Australians to ride across the Hoskingtown Plain in the 1820’s were all native born “cornstalks”, selected by Governor Macquarie. The young men had no difficulty communicating with the aboriginal people they met and reported back to Sydney about a rich environment. They also reported seeing numerous fires of the aboriginal inhabitants of the five high plains in the Hoskingtown, Queanbeyan and Canberra regions. 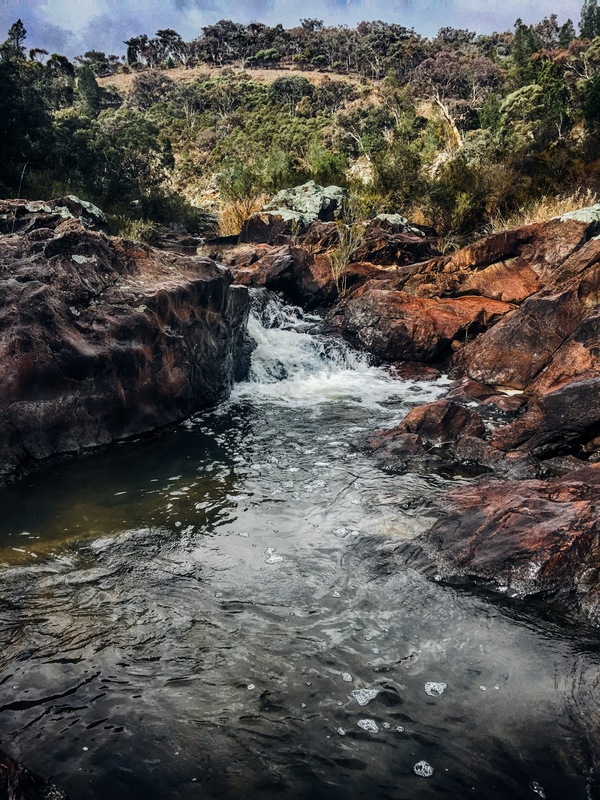 However, within a decade, aboriginal people from the region had withdrawn to the central Canberra plains and the Tidbinbillas and encounters with aborigines living traditional lives became infrequent. With the cessation of fire stick agriculture, the Eucalypt and Acacia populations exploded. 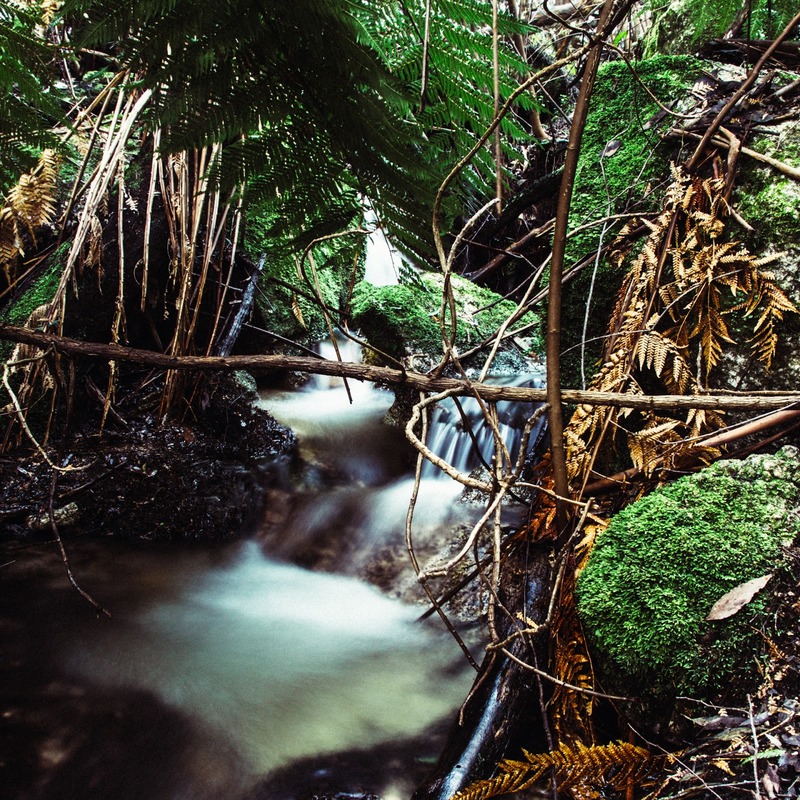 Within a decade, the tended woodlands of the aborigines became impenetrable scrub. Resourceful foresters logged many of the mountain giants. The casuarinas along the river were removed for fencing and yards. 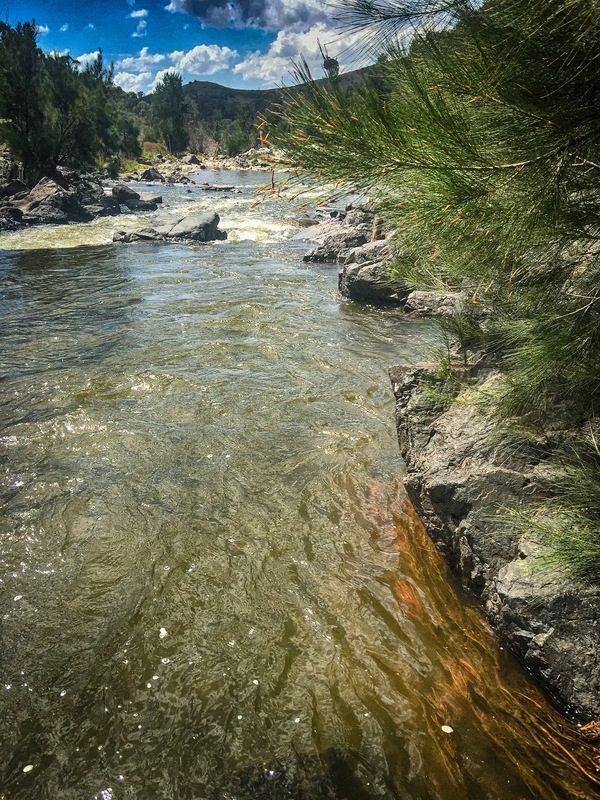 Rumours of gold led to the declaration of gold reserves along the rivers. 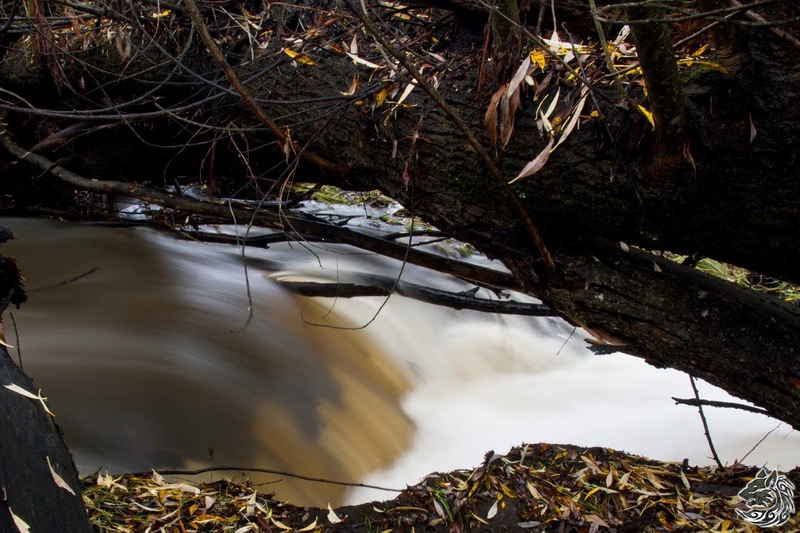 The wetlands disappeared and the banks of creeks and rivers became sharply delineated through erosion. Koalas and bush turkeys were shot out for sport and tucker. Attempts to plant orchards, run dairies and intensively farm small selections were frustrated by years of drought and the loss of settlers to flood, influenza and war. Farms further away from permanent water were abandoned. Presently, many survive only as collections of hearth stones and isolated stands of exotic trees, but the region is starting to repopulate. 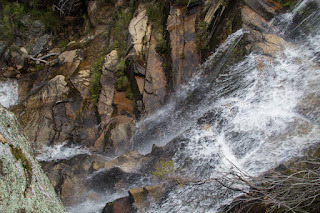 Mountain Creek falls into the wet forests of the Brindabella Range. 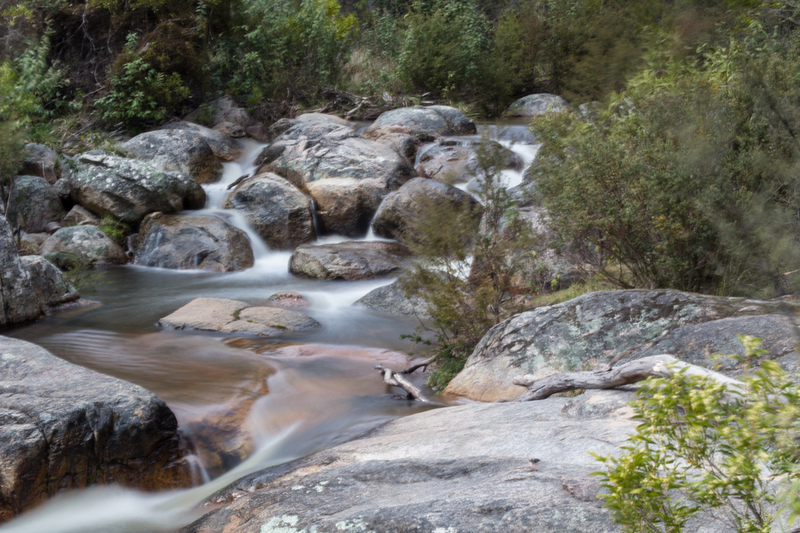 This little valley is fairly close to Canberra, but it has some beautiful cascades and wetland forests. 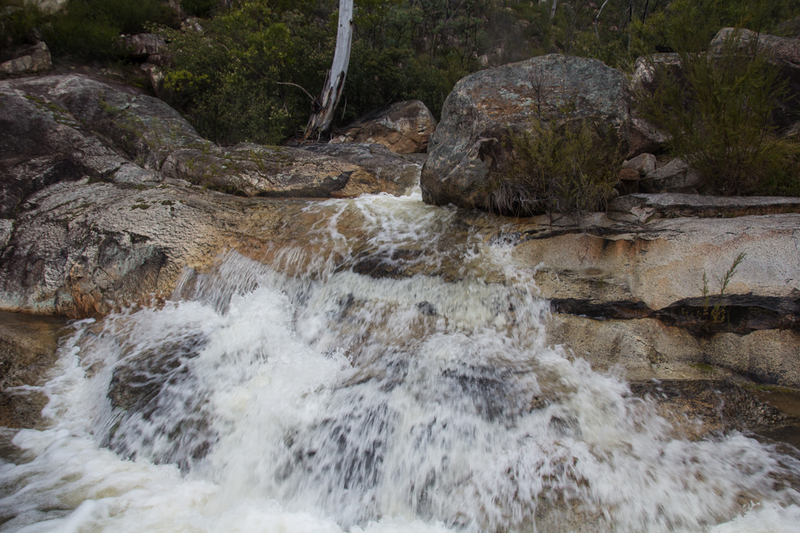 At the bottom of the cascade is a couple of deep pools with all sorts of wildlife, including a platypus family. 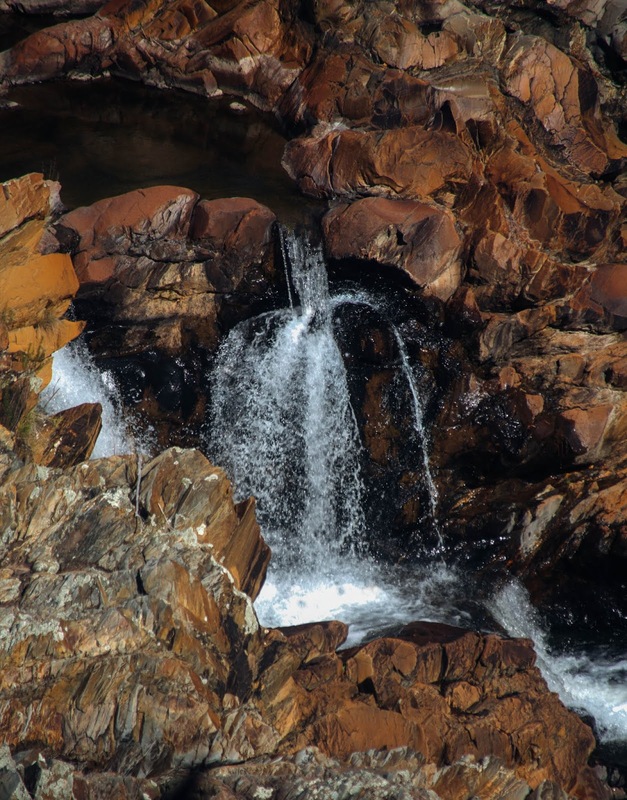 This is typical of the smaller mountain falls, which are largely inaccessible in deep overgrown gorges. There are a couple of different ferns in the picture, the larger are an Australian native which can grown high over farm land in cooler parts of the country. 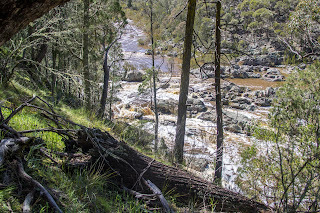 Wandering the high country today, looking for lost waterfalls i met a tired park ranger who told me that many of the public parks are being closed, as recent rain and high winds has increased the risk of tree collapse, before returning to the task of dealing with trees across a nearby road. The forests I ventured into, in the mountains around the Cotter, were almost impenetrable with a tight layer of undergrowth, so walking through water was the only real option. Exploring is a way of finding things that have been overlooked, or deliberately sidelined. Sometimes, when i find something, the unexpected happens, and i gain a new insight into the world.